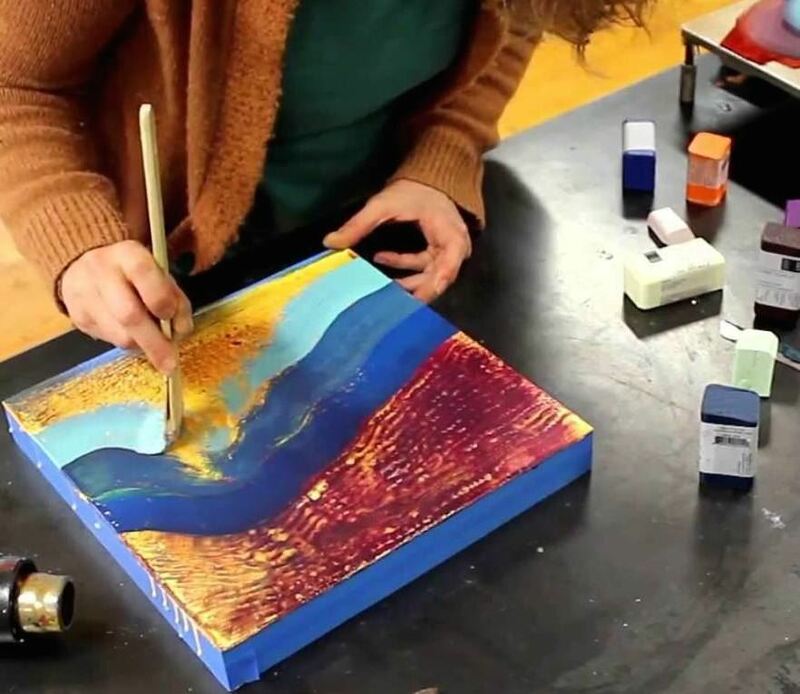 Encaustic painting is painting with a hot colored wax solution that gives you a beautiful depth and translucency that you get with no other painting medium. Gorgeous results! It's loose-it's fun- and requires no painting experience!! All materials are furnished, and you will learn both painting and collaging techniques, and go home with 4 pieces of art. Bring a friend and come have a great time.